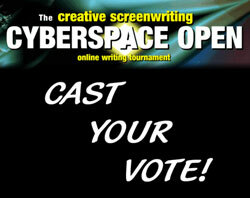 The first (and last) time I entered Creative Screenwriting’s Cyberspace Open, it was a very, ahem, gut-wrenching experience. The contest has changed a bit since 2009. There’s no more 24 hour phase or two hour rush final. 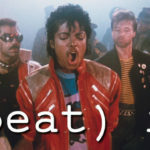 They also film the three finalists utilizing actors and a narrator. I’m not a big fan of the filmed scenes. While they’re better this time around, they still smack of a high school drama class rehearsal, with most actors reading from scripts, and showing only a modest regard for the actual scene direction. But overall the contest is a great way to test your scene-writing chops. I’m pleased to report that one of the finalists this year is Elisa Graybill from my screenwriting group. Way to go Elisa! I genuinely think her written scene was the best, and most closely followed the scene cue. 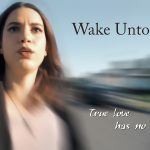 So please show Elisa some Scriptwrecked love and give her your vote if you agree with me! 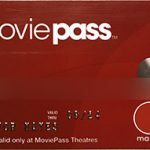 MoviePass – Is It Worth It? Yes, I agree. Testing your writing is a key part of developing as a writer. Contests and professional reader notes are great ways to do that… As long as you don’t spend too much time chasing after those elusive (and ultimately subjective) wins; time that could be spent working on your next script, or networking or sending out query letters, etc. I think there are a few reasons why some disreputable readers have an almost malevolent undercurrent with their notes. Sometimes it’s just because they’re forced to read so many bad scripts that their anger unwittingly leaks onto the page notes. Part of it could also come down to their being in a position of limited power in their own lives and aspirations, yet being in a position of relative power with their ability to review scripts. You ever meet someone and think, “Man, if that guy were a Roman Emperor, the people would have been so screwed”? Kinda like that. 3 scripts at once — yes absolutely. I’ll give you 20% off any of my services. Send me the scripts and I’ll send you an invoice. Please tell your friend thanks for the great feedback! And thank you for the compliments.